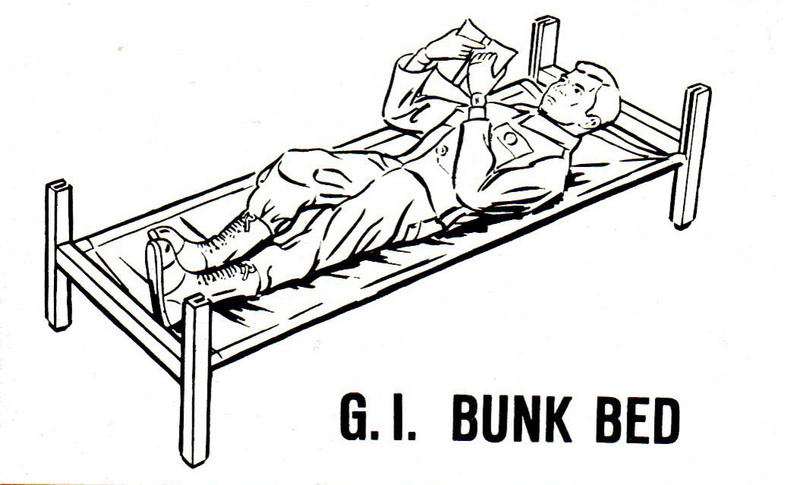 A marine tries to roust a soldier from his bunk. 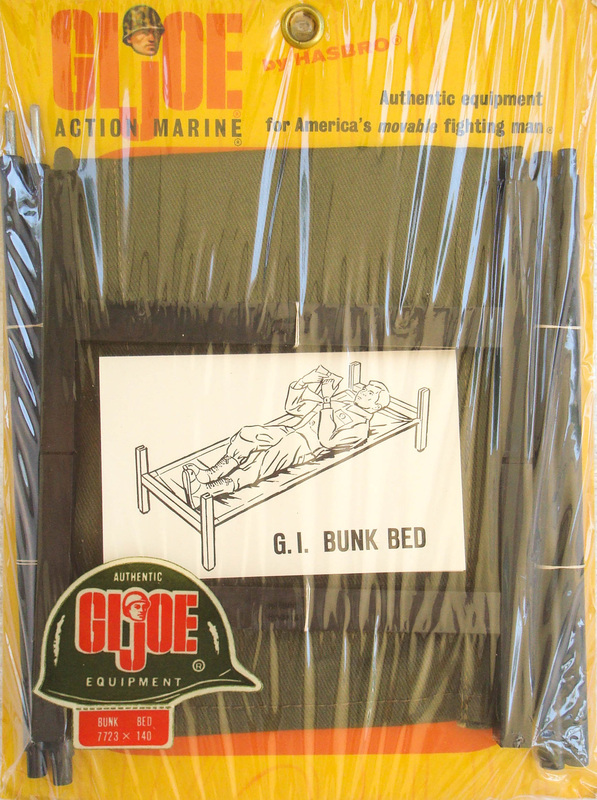 The bunk bed (7723) is a set that tries to make sleeping an action activity. 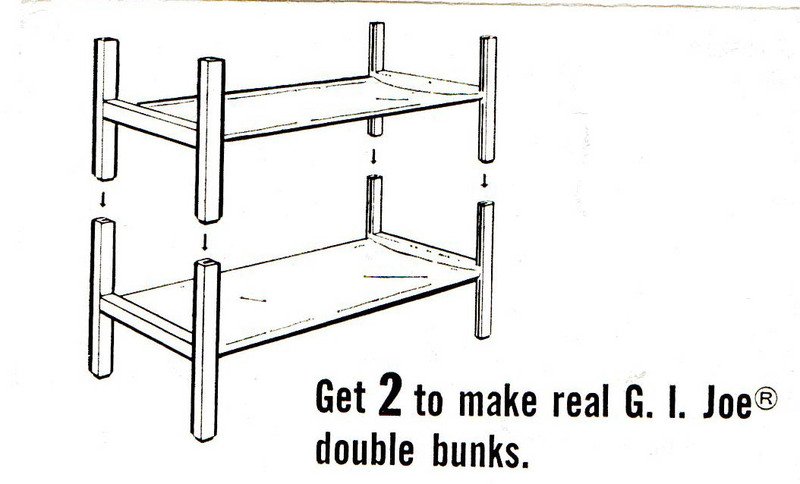 Available on a card in 1966, each came with a single bed, so kids had to buy multiples to stack them. The card comes with a standard cello, and has also been found vacuum sealed to the card back. Anthony Gunter shared this fantastic example of a vacuum sealed bunk bed. These are found occasionally and may have been test packaging using a vacuum sealer. Note the lack of a hanging grommet and tm/tm card. 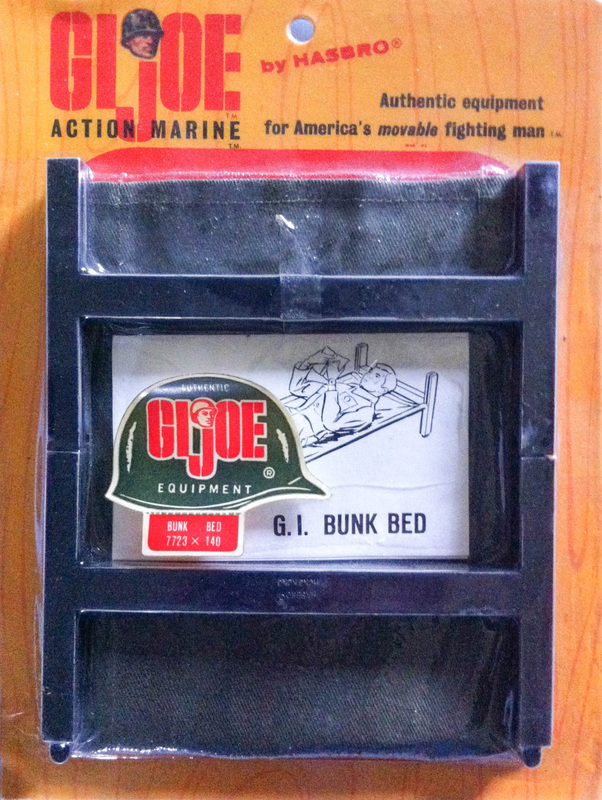 The side rails are hidden under the cloth of the cot on these vacuum sealed versions.